Before the days of CGI generated graphics, forced perspective process was used on smaller scale models in movie making simply for cost-saving reasons, instead of building massive, real size sets for shooting. 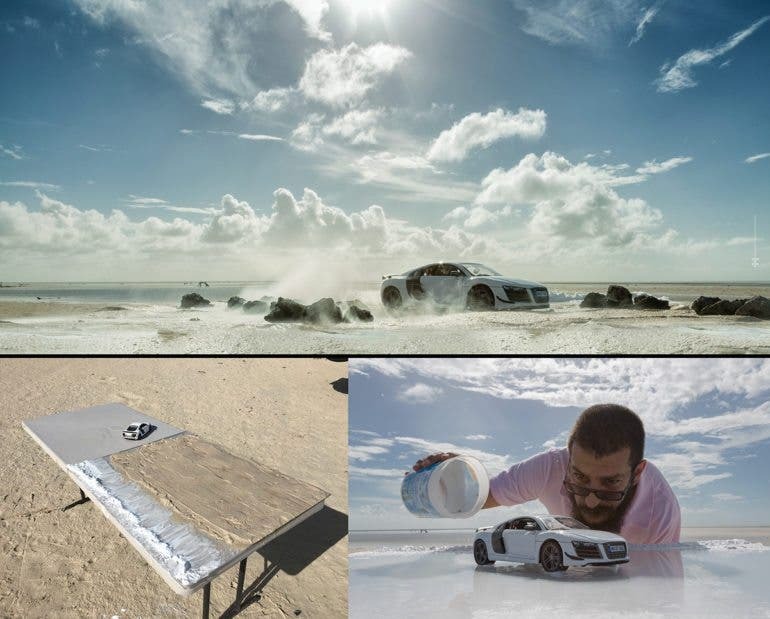 By employing the same forced perspective technique in photography, Felix Hernandez showed that a little thinking outside the box can go a long way by turning a toy car model of an Audi R8 into a realistic looking full-sized car. 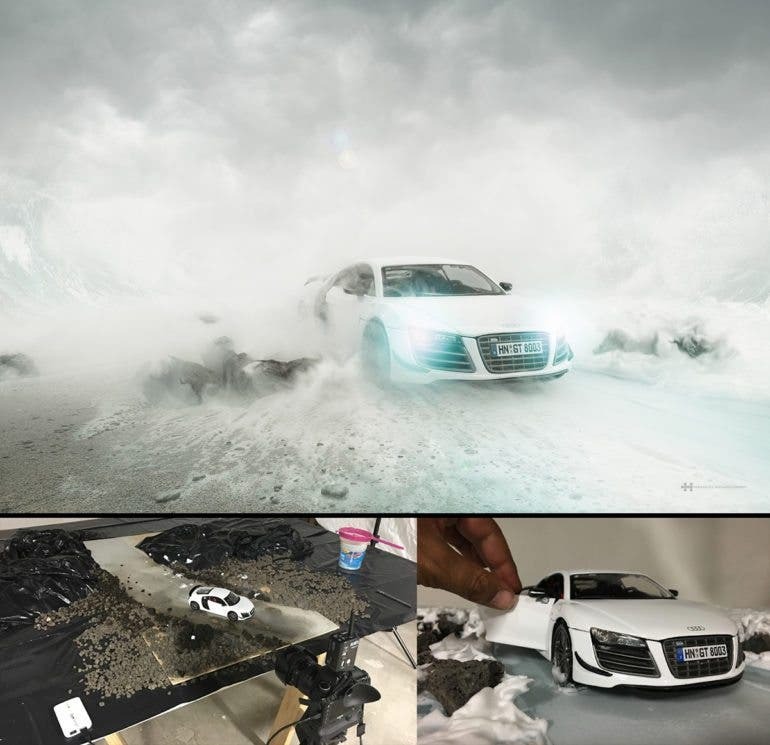 Felix shot the toy model Audi R8 both in a studio for controlled lighting and environment as well as outdoor locations to blend in the model car into dramatic looking sky as background. Meticulous effort and care were put into the placement of props, material set ups and true-to-life looking objects (rocks and sandy surface) which added much needed sense of realism to the images. Exaggerated perspective was used effectively, either a bird eye’s view from top down framing, or the super low-angle composition. Additional off camera flash was used as necessary and done tastefully, then the images were finished off with skillful post-processing to create ultra realistic images, as if a real Audi R8 was used in the photo-shoot. 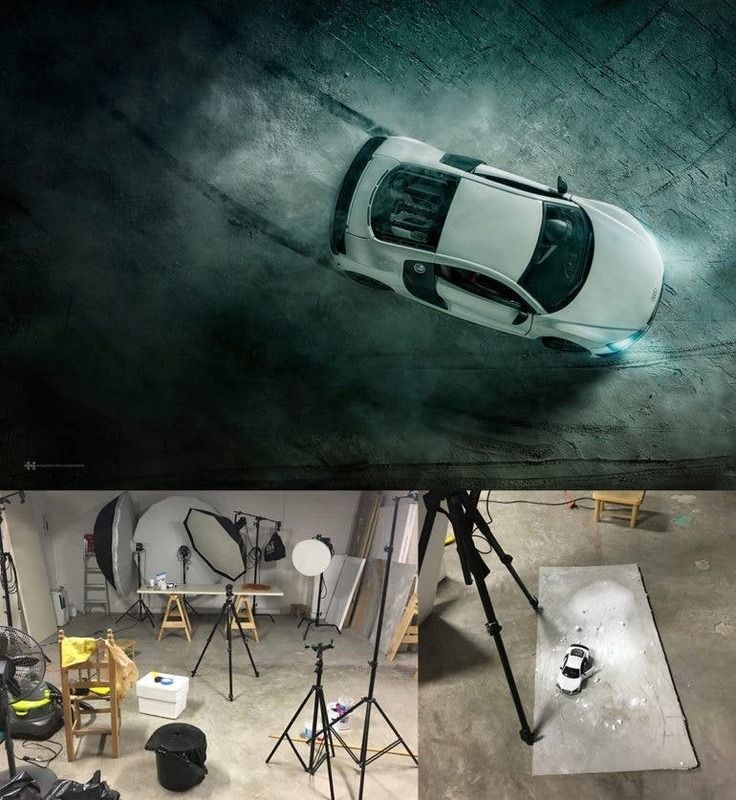 Honestly, if behind the scenes images were not shown alongside the finished Audi R8 photographs, I would not able to tell if the toy car was used all along. 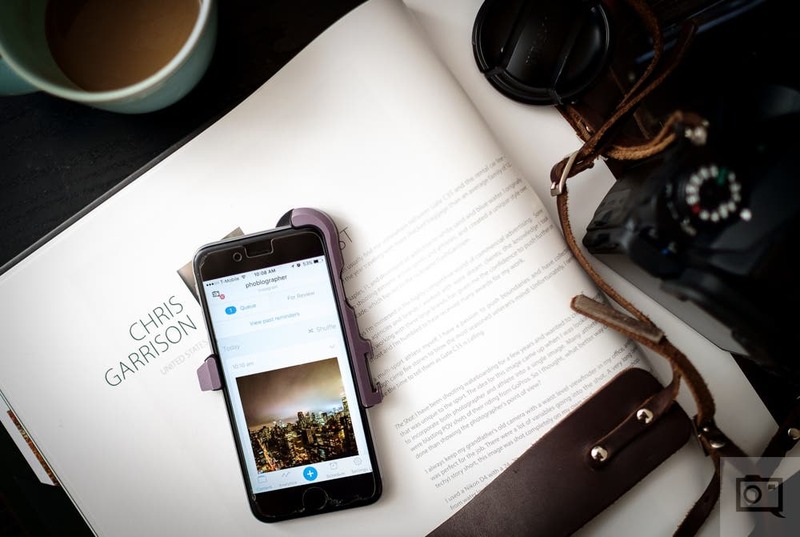 To find out more about Felix Hernandez’s work, you may visit his website here.